This area contains quite a large system of trails; all very well maintained and easy to follow. All trails are interconnecting offering many different routes to explore. The main trail skirts the park's playing fields (soccer and baseball) and is a 2.6 km loop. The tree vegetation is mainly hardwood including aspen, oaks and birch, although a few softwoods do exist. One route takes you along the river bank with views of a large grassy marsh and flood dykes. The trail system begins and ends at a family picnic area with tables and garbage cans. 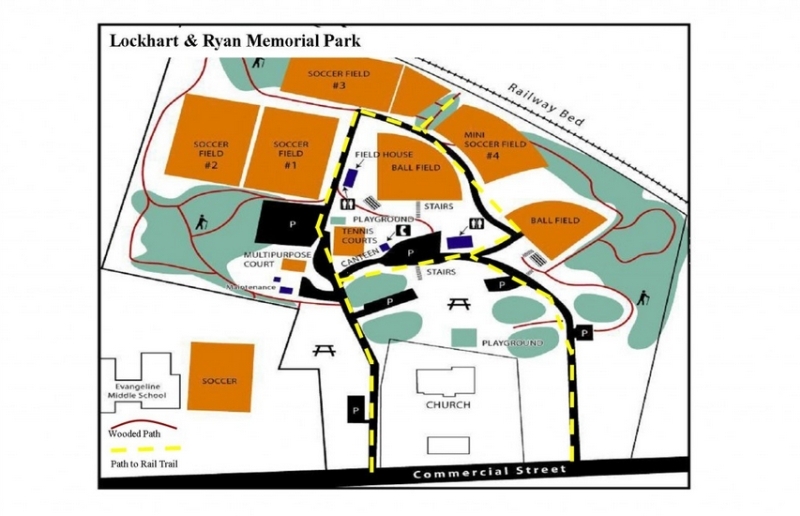 The New Minas Rail Trail can be assessed from the Lockhart Ryan Memorial Park Trail. A canteen, tennis courts and playground are also in the park. All other facilities are in nearby New Minas. Visit the Village of New Minas website for more information.